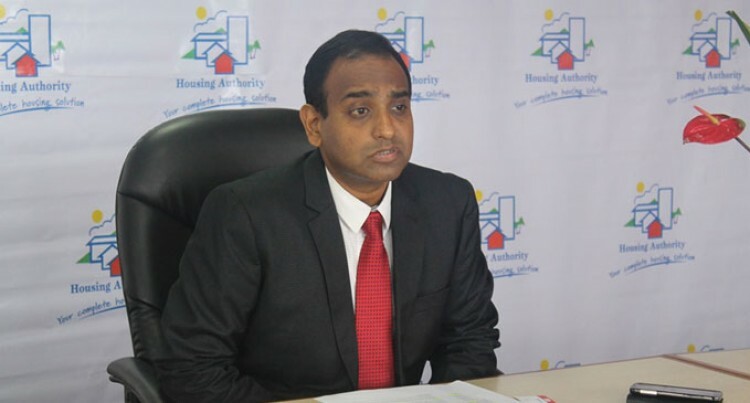 The new chief executive of Housing Authority, Joshua Wycliffe, is putting together a team of acquisition experts whose job would be to acquire new land for future development. This was confirmed by Mr Wycliffe during a one-on-one interview with the Fiji Sun this week. There are a number of land subdivision projects which the Housing Authority aims to finish by January next year. And Mr Wycliffe said: “I know this is a cycle. If we sit on our hands do nothing now, next year we will be dry. “I am putting in a team of acquisition experts who go and look for lands. And their job doesn’t just stop at acquiring lands,” he said. Mr Wycliffe said they have the next eight to nine months get the lands ready in time to meet the land development target for next year. Meanwhile, Mr Wycliffe said of the 330 lots developed in Tacirua East, most had been allocated. He said they are waiting for documentation from other agencies and once this is registered, then people can start building and taking ownership. “It is one of the most highly successful one since we have come,” he said. For the authority, Mr Wycliffe said their targets work differently from real estate targets. “We work from a social perspective. Of being able to contact people because they need a house and not because we need to sell,” he said. Mr Wycliffe is only about eight weeks into his role, but has a clear vision – creating affordable housing solutions for our needy segment. He hopes to achieve this with his 25 years of background as an engineer and in management.